The kids are back in school and the summer crowds are gone. The temperatures remain pleasant with plenty of sunshine, but without the humidity. Both visitors and locals are removed from the hustle and bustle of the summer tourist season. Fall with all its pleasures has arrived. 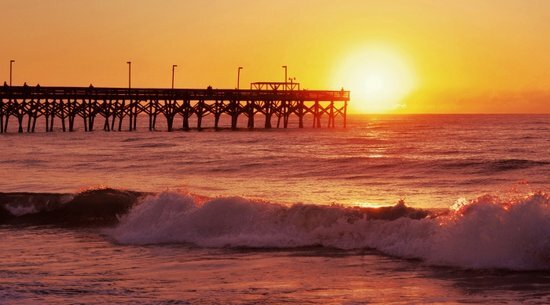 Couples more than anyone else will find fall in Myrtle Beach to be the best time of year. Here are seven reasons why. With over 100 golf courses the area has a well-deserved reputation as the “Seaside Golf Capital of the World.” Here are a few favorites that couples can enjoy playing together. Golf Digest rated Heather Glen Golf Links in Little River, as one of the Top 50 Public Courses in 1987. The course features 27-mature, well-maintained holes designed in a Scottish 19th century layout. 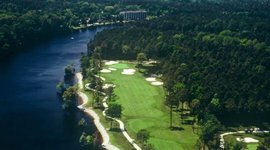 Located along the scenic Intracoastal Waterway, Arrowhead Country Club features 27-unique holes that play to the strengths of both men and women. This Raymond Floyd Tom Jackson beauty received the “Best of the Grand Strand Award” in 2012 from WMBF News. 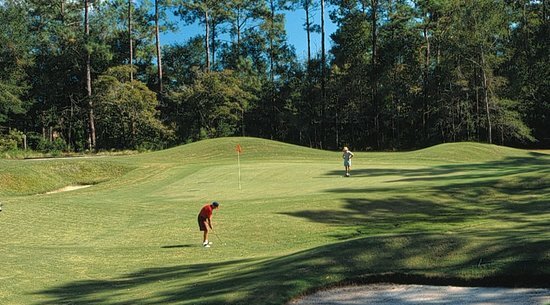 Willbrook Plantation in Pawley’s Island ranked in the “Top 25 Places to Play in the US” from Golf for Women magazine. 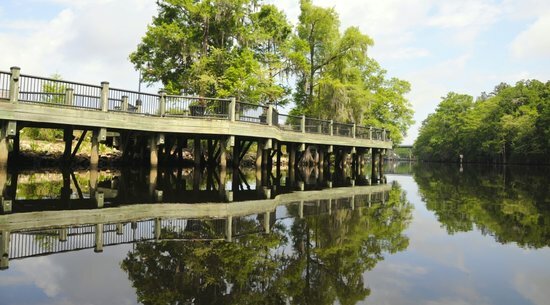 Crafted from an historic rice plantation, the course wanders through a picturesque marsh. For a more complete set of Myrtle Beach golf courses check out this helpful guide. Rest and relaxation are always needed, but with more than 40 local spas to choose from, where do couples go? 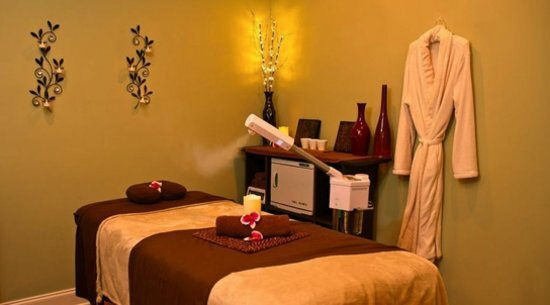 Cinzia Spa in North Myrtle Beach delivers on the promise of a soothing ambiance that will help you leave your problems at the door. Coastal Holistics in Myrtle Beach won the “Best of 2014 Day Spa” from WMBF News for balancing, body, mind, and spirit to achieve wellness. Body & Beyond Therapeutic Massage and Bodywork in Murrells Inlet provides specialized massage techniques relieving symptoms from multiple aches and pains. 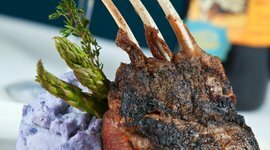 Whether it’s a special occasion, or just a memorable evening dinner, these romantic Myrtle Beach restaurants provide an exquisite dining experience. 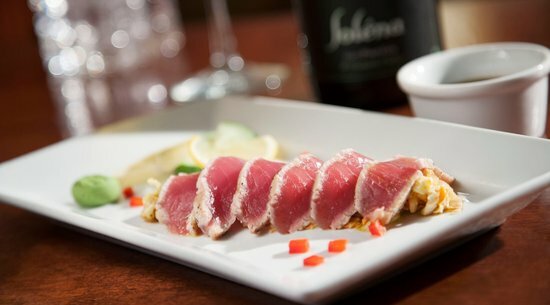 SeaBlue in North Myrtle Beach is a favorite of local and visiting couples with their blend of quality ingredients, creative offerings, and a relaxed environment. Aspen Grille is the perfect choice for a quiet evening that features an outstanding Southern dining experience in a comfortable setting. For thirty years, the Gulfstream Café in Garden City has been pleasing their guests with fabulous sunset views and seafood favorites. 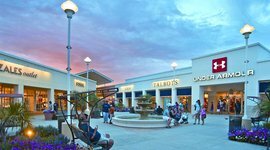 With its mix of outlets, specialty stores, boutiques, malls and shopping destinations it might be an understatement to say that shopping in Myrtle Beach is a delight. 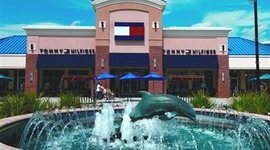 If one outlet with your favorite brands is good, then two Tanger Outlets – Hwy 501N and Hwy 17N in Myrtle Beach – must be great. 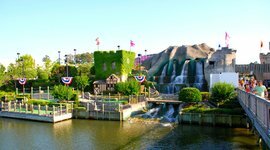 Barefoot Landing in North Myrtle Beach features specialty stores from accessories to shoes, dining, House of Blues, Alabama Theatre, and Alligator Adventure, all located along the Intracoastal Waterway. Broadway at the Beach has more than 80 shops and boutiques along with dining, Ripley’s Aquarium, Hard Rock Café, Celebrity Square, Legends In Concert, and The Palace Theatre. The Hammock Shops Village in Pawley’s Island is a collection of boutiques and specialty stores nestled in a shaded grove. You can also see the famous rope hammocks being made by hand. From the home of the Shag dance in North Myrtle Beach and numerous live music venues throughout the area to world-class live theatres, nighttime is the right time for couples. Alabama Theatre at Barefoot Landing presents their Opryland Production ONE The Show with celebrity performers on the weekend. The South’s Grandest Christmas Show begins November 2, 2015. The Gilmore Theater located at the junction of Hwy 17N and Hwy 17N Bypass presents The Carolina Opry, Thunder & Light, and Time Warp. The Carolina Opry Christmas Special begins November 2. The Palace Theatre at Broadway at the Beach presents Jersey Nights and Cirque Extreme. Their Christmas Wonderland begins November 3. Checkout these live music, concert and dance venues - House of Blues, Celebrity Square, 2001, and the Boathouse. 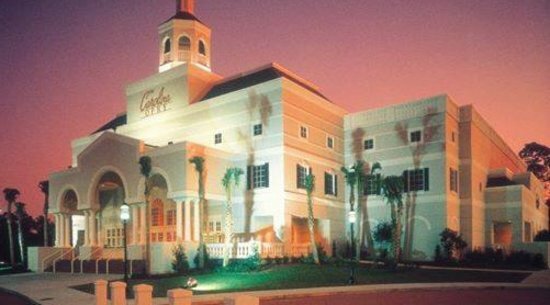 There’s always good music playing and a hopping nightlife in Myrtle Beach free from the typical spring break crowd. Besides 60 miles of beach there are a number of quaint towns that make for the perfect day trip outside of Myrtle Beach. You’ll just have to stay an extra day, or two. 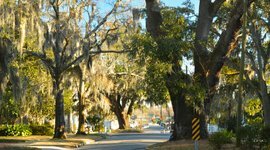 West of Myrtle Beach on Hwy 501 is Conway, SC with historic tours and attractions, downtown shopping, dining, and river adventure all served with a heavy dose of southern hospitality. 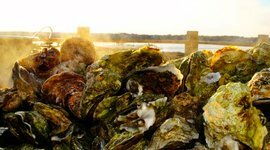 Prior to the American Civil War more than 25 percent of the world’s rice was cultivated in Georgetown County, just south of Myrtle Beach. 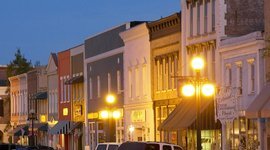 Historic Front Street in Georgetown, SC tells the story of the area’s riches and its people along with delightful dining and inviting shops. 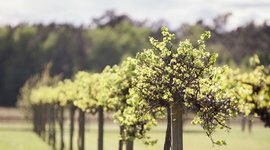 For those that find pleasure in the fruit of the vine, you may care to develop your own Coastal Wine Trail. 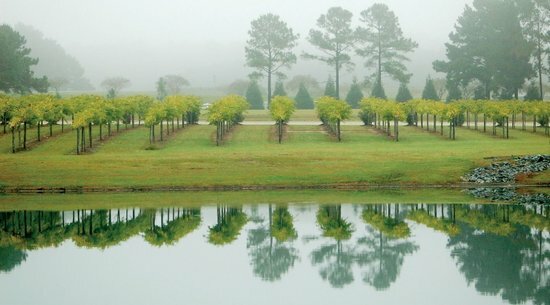 There are plenty of Myrtle Beach wineries to satsify your discerning tastes. 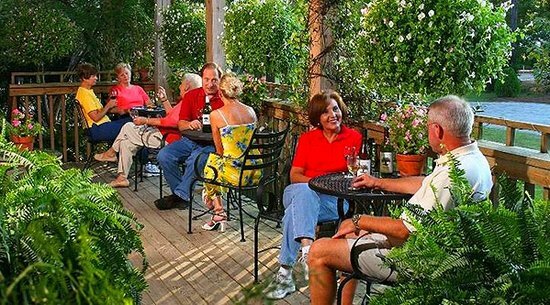 Classic European style wines await you at Silver Coast Winery in Ocean Isle Beach, NC. Tours run anytime of day with tastings. You'll also find an art gallery and gift shop for souvenirs. 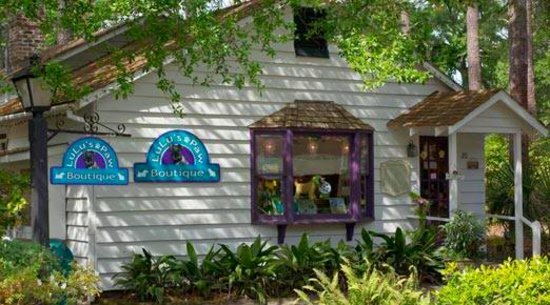 La Belle Amie Vineyard in North Myrtle Beach, features a tasting room and gift shop where you can try their “Twisted Sisters” wines. 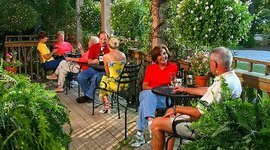 Next stop is the Duplin Winery tasting station in North Myrtle Beach at Barefoot Landing. 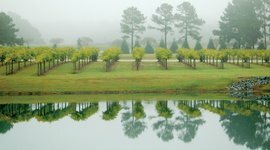 It’s perfect for tasting a variety of muscadine wines and learning the story of wine making in the Carolinas. 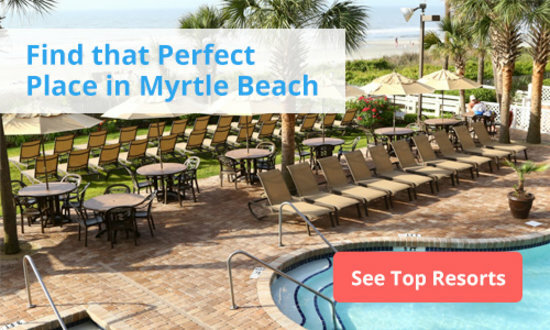 With so much to do, could it be that Roy Orbison was singing about Myrtle Beach when he recorded his 1989 hit “Anything You Want (You Got It)? Either way, it’s all here waiting for you! 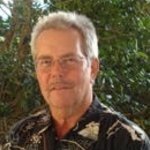 Dave Bodle is the former owner/publisher of four nationally and internationally distributed tour and travel publications. He has lived in Myrtle Beach for 30 years, as a prolific travel writer focusing on the Southeast. Early colonial settlements here were some of the oldest in the nation. 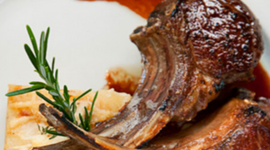 Stop by today for museums, waterfront restaurants, art galleries, and boutiques. Shaded by gorgeous oak trees, these elegant Victorian-style shops are a nice relaxing way to cool down on a hot day away from the action. 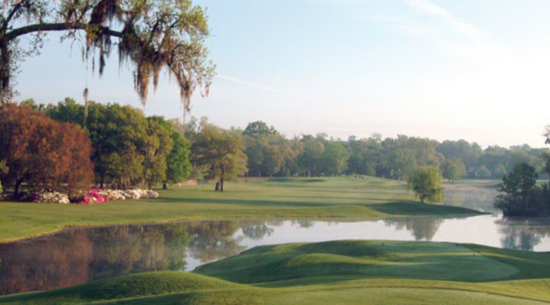 This Scottish-style course features 27 well-maintained holes, design in a 19th century Scottish layout. It's also known as a great couples course. Set on a historic rice plantation dating back to the 1700s, the course meanders through marshes, woodlands, and natural grasses. 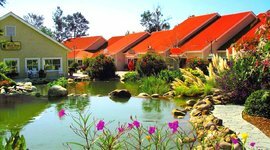 They offer massage treatments, pilates and fitness, and therapeutic rituals. You can also take a soak in their whirlpool Jacuzzi set in an outdoor garden. Their signature Milk and Honey body wrap uses complex essentials oils and therapeutic mud to rejuvenate the skin. Treatments include hot stone massages, sugar and salt scrubs, and detoxifying body wraps. 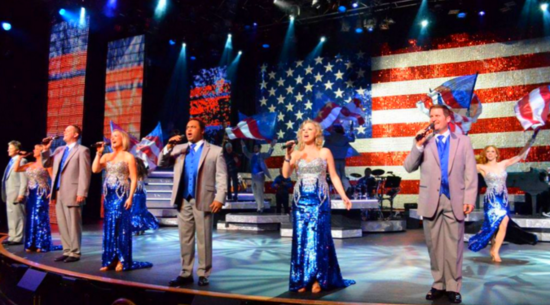 During spring and fall, Hot Jersey Nights features the hit songs of Frankie Valli and the Four Seasons. Other shows include Carnival of Magical, Christmas Wonderland, and an MMA Fight Night. Inspired by the great vineyards of Europe, Silver Coast produces a number of local wines. They also host their own art gallery and seasonal events, like the Purple Feet Festival. They just opened a brand new tasting room at Barefoot Landing where you can sample their signature muscadine wines.